The self-nomination period for our Board of Directors is over and we are excited to share this year’s candidates! We hope to begin the community seat election sometime next week, followed by a board ratification of this vote and election of two additional seats. I have been involved with and contributing to open source software, and like-minded communities for over 20 years now. I, like others, in OH am a firm believer in open science, open data, and open access. I was an early enrollee in Harvard-PGP, excited by the promise of enabling precision medicine and an open dataset for researchers to use. I hold a Ph.D. in biology from Boston University and have worked professionally in academic, NGO, government, and private industry. My expertise bridges multiple areas of science having worked in oceanography, satellite remote sensing, AUVs, marine biology, and bioinformatics, as well as being involved with the 9/11 impact assessment of the Hudson River. I have also been running the OH Facebook account for the last two years. In 2018 I was lucky enough to have a hand in facilitating and doing QA/QC on a portion of the NIH Data Commons Pilot Phase Consortium, and have high hopes that at least one fully open source stack emerges from that endeavor. I am passionate about trustworthy storage systems and digital archives. I am an active member of Open Humans. My interest is mainly focused on: 1) new storage solutions for OH data and 2) better data visualisations of life-logging data collections. I am also co-author of the Open Humans open collaboration article. My vision about an open health archive was presented during the Data-Driven Self-Regulating Systems (DSS) Workshop in 2018. The main concept is to preserve the health-related data generated throughout the life of an individual without giving away data ownership while promoting open data and data sharing. I keep working on these ideas. My recent experience comes from postdoc roles (storage systems / distributed systems). I am a former postdoc at the Quality of Life Technologies (DIKU). Prior to academic jobs, I had leadership roles in the industry and government. I have experience in making sense of large databases. I collaborate with the SciEd Network (Lectures without borders). I am a previous employee of Open Humans (2014-2016). Prior to 2014 I worked at Practice Fusion on the Data Science team, and from 2016 to the present I’ve worked at Canvas Medical building electronic health record software for primary care practices. My recent work at Canvas has focused on security and privacy (I am now the security and privacy officer in addition to my engineering duties). Since leaving Open Humans as an employee I have been an active user of the project. I’ve also maintained a presence on the OH Slack and GitHub as well as offering my review of projects on the Project Review forum. I believe I would be most useful in the realms of security and privacy and software development guidance. Exploring what inner data say, about our health and history, has long driven my work. And teaming with fellow geeks, caregivers, and layfolk has made that a joy. The chance now, to help guide how we Open Humans bring our big ideas to life, as an anchor cohort for the biodata-informed future, would fulfillingly continue that effort. To that aim, I bring strong grounding in genomics, a passion to learn new stuff (hello microbiomes!…), and team spirit. Background-wise, I trained in evolutionary genomics at Stanford and U. Chicago, led collaborative science at ships both small (Knome) and big (New York Genome Center), and teach genetic counseling students as guest faculty at Sarah Lawrence. To help folks pool personal biodata to drive crowd discovery, I launched the Empowered Genome Community in 2012 and recently founded the free, good cause-allied personal immunogenomics company, Root, to honor tissue donor volunteers with well grounded insights from their own match-screened genes. I’m a Finnish PhD (physics) and MBA (social and healthcare management), working at the Finnish Innovation Fund Sitra and also an unpaid visiting researcher of the University of Helsinki (DNA related issues). I’m a genetic genealogy expert, admin of Finland DNA project with more than 15 000 members, admin of Finland DNA Facebook group, with 7 700 members. I’m also a founding member of MyData Global. I’m a practical and knowledgeable bridge builder, always curious about the future. I’m just waiting for my whole genome results. My vision of Open Humans is a trusted global platform and actively cooperating community for fair & responsible sharing and utilizing personal data, mydata, tools and creating best practises. As a Finn and European and a genetic genealogy & genome data expert (etc) I’d like to contribute to the Open Humans humans community. By vocation I’m a journalist but since 2008 I’ve been focused on supporting the Quantified Self community as Director of Quantified Self Labs, a California based social enterprise whose mission is to help people learn from their own data. We’ve been allies and active collaborators with OH. 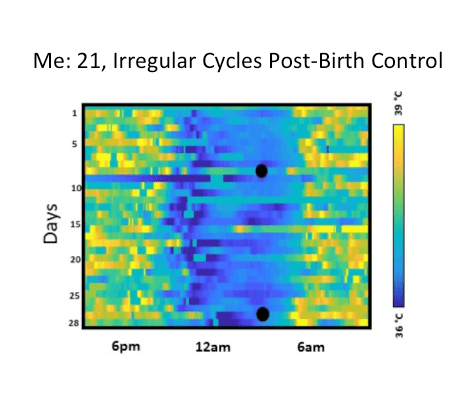 Our most recent collaboration involves using OH to support a participant led research project (PLR) focused on self-tracking of ovulatory cycles. I’m aligned with the Open Humans mission to both support individual agency in using our own personal data to answer our own questions; and, in supporting the formation of new collectivities for shared knowledge making. I’m also closely aligned with the OH approach and cultural roots in the open source community. I look forward to helping. My hope is that Open Humans becomes a central, global hub for participatory research and participant led data sharing much as Wikipedia has become a hub for sharing facts. Specifically, I will use my relationships with the Global Alliance for Genomics and Health (GA4GH), NIH common fund, , the NIST “Genome In a Bottle” reference material consortium, and the global Personal Genome Project (PGP) organizations to further the integration of Open Humans with other local, national and international biomedical data sharing efforts. In upcoming weeks Open Humans Foundation will be electing three new members to our Board of Directors. Two seats are elected within the board — and one is a community seat chosen by Open Humans members! Anyone may apply to our board. The process involves a self-nomination, and nominees should be seconded by a current member of the Board of Directors. Board seat terms are three years. Oura Ring: You can now explore your sleep habits, body temperature and physical activity data as collected by the Oura Ring. Overland: If you are using an iPhone you can now use Overland to collect your own geo locations along with additional data such as your phone’s battery levels over the day. Google Location History: As an alternative way to record and import your location data you can now import a full Google Location History data set. Explore how your body temperature changes on weekdays and weekends by connecting your Oura Ring to Open Humans and running a Personal Data Notebook. The Oura is a wearable device well hidden inside a ring. It measures heart rate, physical activity and body temperature to generate insights into your sleep and activity habits. With Oura Connect you can setup an ongoing import of those data into your Open Humans account. This allows you to explore those data more thanks to already available Personal Data Notebooks! Explore how you move around. To recreate this with your personal data use Overland and run this Personal Data Notebook. Overland is a free and open-source iOS application that keep track of your location through your phone’s GPS along with some metadata like velocity and the WiFi you are connected to. With Overland Connect you can import these data into your Open Humans account. The data can be visualized through Personal Data Notebooks, used to display your current location through a Personal API or to Geo-Tag your photo collection! Explore where you have been around the world. 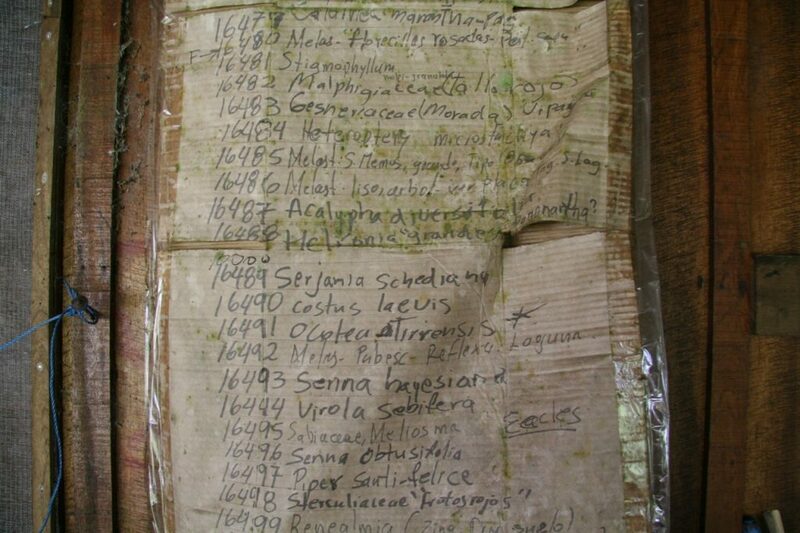 To recreate this with your personal data, import your Google Location History and run this Personal Data Notebook. Thanks to our Outreachy interns we have another new geolocation data source: Google Location History. No matter if you are using an iPhone or an Android phone, you can use the Google or Google Maps app on your phone to record where you have been. Through Google Takeout you can now export this data and then load it into Open Humans and explore it through Personal Data Notebooks. Explore when and how you listen to music. To recreate this with your personal data use Spotify Connect and run this Personal Data Notebook. Another Outreachy intern project was to collect your Spotify Listening History through Open Humans. Using Spotify Connect will automatically import the songs you listen to along with lots of metadata (e.g. how popular was the song at the time you listened to it?). Once you have collected some data, you can explore these through another Personal Data Notebook! Find out whether your computer usage is correlated with how much you walk. Recreate this by using RescueTime and Fitbit. Then run this Personal Data Notebook. With this the whole Open Humans team wishes you a happy personal data exploration, relaxed holidays and a wonderful start of 2019! Open Humans now consists of over 6,000 members that collectively have uploaded over 16,000 data sets! To share this great community effort as a resource, we wrote our first academic manuscript. In it, we describe the platform, community, and some diverse projects that we’ve all enabled. You can find a pre-print on BioRxiv. True to the community spirit of Open Humans, we wrote the manuscript completely in public and with an open call for contributions through our Slack. Thanks to this we could gather diverse perspectives of how Open Humans can be utilized for both research as well as personal data exploration. Using these existing projects and studies running on Open Humans as examples, we explore how our community tackles complex issues such as informed consent, data portability, and individual-centric research paradigms. Read more about this in the manuscript. All of this is only made possible by your contributions to Open Humans, so we want to take this opportunity to thank you for your participation!